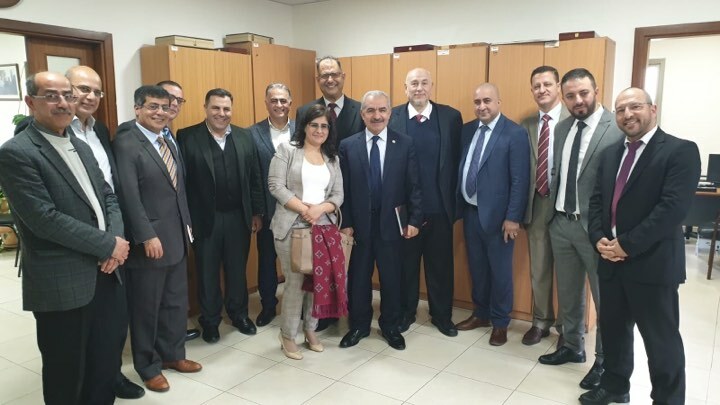 Ramallah : A group of members of the Board of Directors of the The Palestinian Information Technology Association of Companies – Pita met with a group of IT sector managers in the sector with the Prime Minister Dr. Mohammed Ashtayeh. The meeting discussed the importance of developing this sector and developing a partnership between the government sector and the private sector. Serves the development of the sector and the development of all services related to the improvement and development of services. Ashtayeh expressed his interest in the sector and specifically his interest in the role played by this sector towards faster and higher quality services.